Have you ever wondered about the history of activism in the United States? Curious about what protests looked like before the modern methods pioneered by the civil rights era? We the Resistance showcases a number of historic activists to give curious citizens and current resisters an insight into the history of American activism. Beginning with the pre-Revolutionary War era and continuing through to the present day, readers will encounter the voices of protestors sharing instructive stories about their methods (from sit-ins to tree sitting) and opponents (from Puritans to Wall Street bankers), as well as inspirational stories about their failures (from slave petitions to the fight for the ERA), and successes (from enfranchisement for women to today’s reform of police practices). 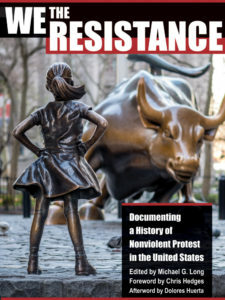 In an effort to combat histories of America that focus on our military past, this book provides an alternate history of the formation of our nation and its character, one in which courageous individuals and movements have wielded the tools of nonviolence to resist unjust, unfair, and immoral policies and practices. 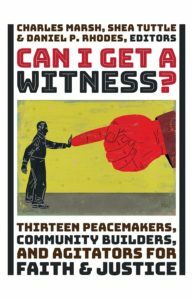 Instruction and inspiration run throughout this captivating reader, generously illustrated with historic graphics and photographs of nonviolent protests throughout U.S. history.